the prompt for this week was a choice of prompts re-visited from past weeks. i chose week 1…nourish. 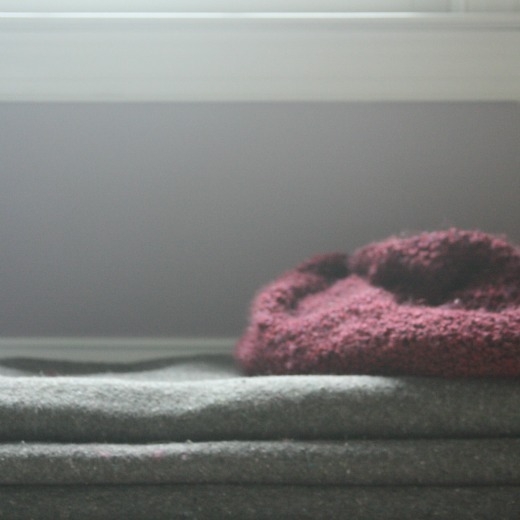 most mornings find me sitting on these blankets, eyes closed, breathing deeply. after a short pranayama practice, i move through a few yoga poses. gently…because i’m generally still sleepy. there are mornings when i do not want to get out of bed at this early hour, but mostly i do. because after 1 1/2 years of this practice, i know the benefits. this yoga practice…this consistent practice…nourishes me. yoga nourishes my body. yoga nourishes my soul. i am so clear on how this time spent breathing and moving mindfully carries into my daily living. as i navigate my life and organize and prioritize, i know that this morning time is non-negotiable. i must keep this time in my life; i need it. and, ultimately, those around me need it too. because it colors my being and the ways i interact with everyone and everything around me. the effects are both subtle and powerful. this time sitting on these blankets, moving on my mat…nourish me. I love your description of how yoga feeds your soul. I think writing is my go-to nourishment. although, yoga certainly is up there. Ooh. Today is the perfect day for me to read this. I am trying so hard to get a daily practice going. For some weird reason routines are really hard for me. I do okay for a few days and then I rebel. Your experience is good motivation for me! it has helped me so much to accept that *any* bit i do really and truly matters. it doesn’t have to be a full-on hour-long practice. five minutes makes a difference too. thank you all for stopping by and for your kind words…! Beautiful reflections as always…..I so enjoy my time here:) Hope you have a wonderful day! thank you…and thank you for stopping by!!! beautiful words on how your yoga practice nourishes you. great post! Oh I love your interpretation here. What a lovely photograph and also a lovely thought – to nourish yourself lovingly in this way.